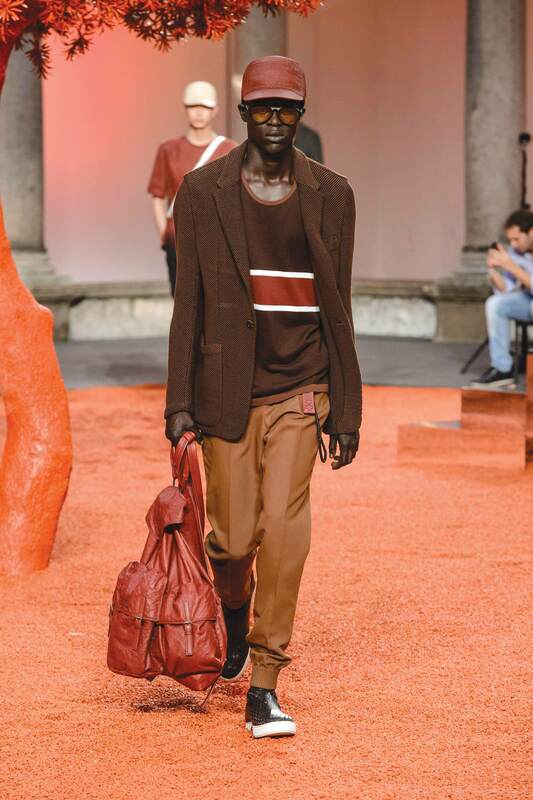 The Ermenegildo Zegna spring/summer 2018 menswear collection debuted at this year’s Milan Fashion Week. The response from the fashion world? A great big thumbs up! The Italian fashion house has a legacy dating back over 100 years, and has produced suits for the likes of Yves Saint Laurent and Gucci. 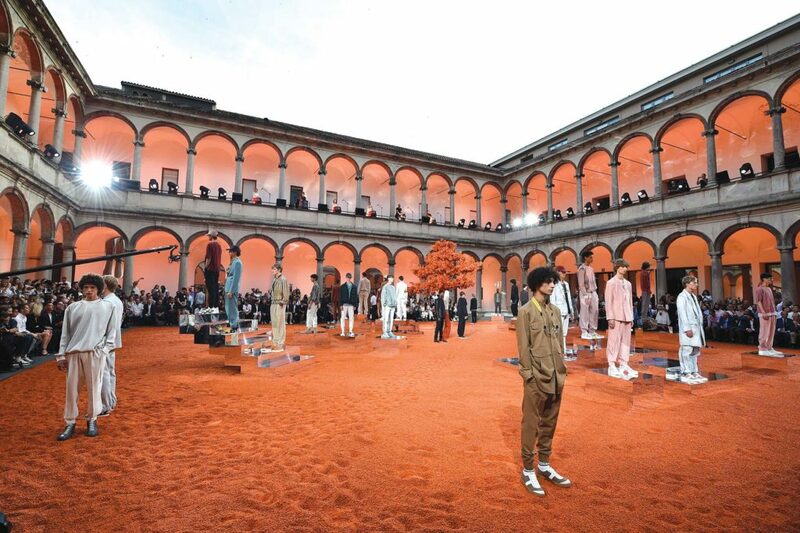 This season, in one of the Università Statale’s historic courtyards, Alessandro Sartori (Zegna’s Artistic Director) especially outdid himself. We take a closer look at the collection at the Sketches from a Hidden Garden runway show. Sartori’s collection presents a new-age men’s wardrobe “built around fluidity, freshness and colour”. A seasonably warm colour palette of neutrals, walnut, geranium, lotus and withdrawn natural tones is at play. 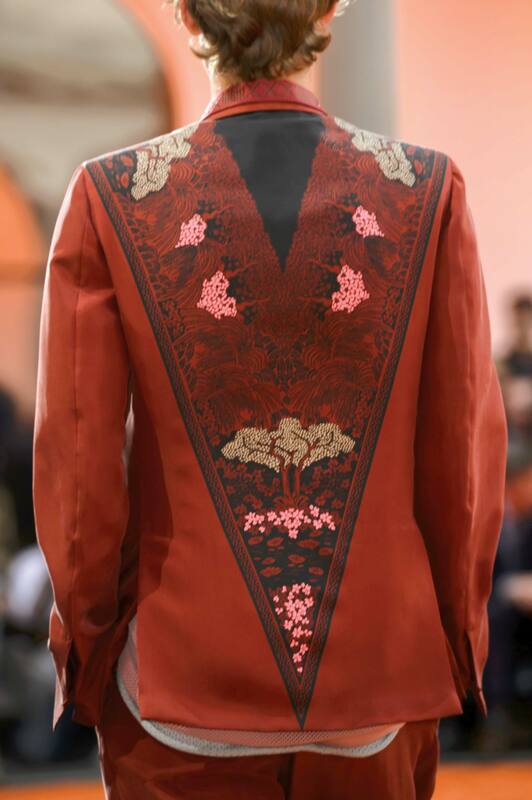 Couture constructions of flowing silks and flush cashmeres portray a sensual masculine, while hinting at an outdoor life. Most of all, Sartori’s concept centres around playful fantasy, but with a more sensitive approach to outdoor Italian fashion. Ermenegildo Zegna’s summer collection features deconstructed versions of Italian couture classics. As a result, there is more tailored yet still free-flowing approach to tank tops, scoop-necked sweaters and tracksuit pants. The collection combines indoor and outdoor fashion, but also marries the old with the new. “We are living in a fast moving world, where we demand fresh and innovative approaches to tradition”. Therefore wool, which represents Ermenegildo Zegna’s heritage, is used together with a new innovative leather technique. Pelle Tessuta™ is used in colourful knitted leather caps and bags. As a result, the collection has a sense of crafted modernity. 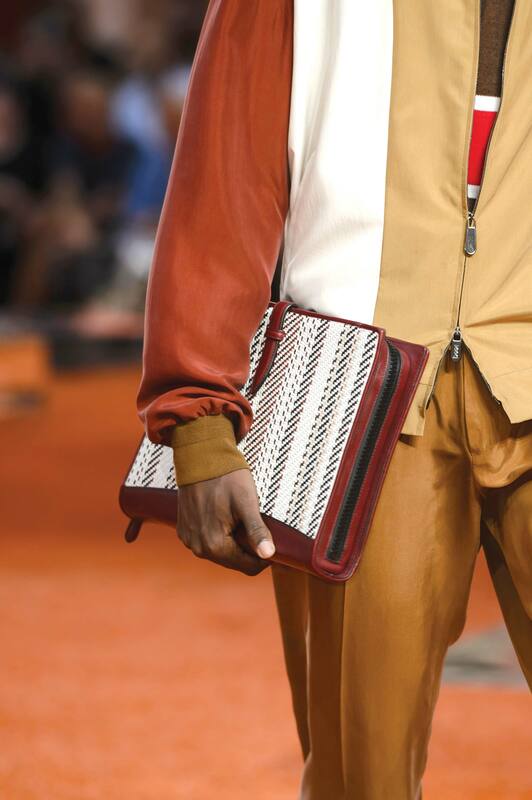 Zegna’s assembly of sport-inspired pieces create a whimsical yet rugged feel using oversized pockets and hoods. Most noteworthy, of course, is the use of the iconic Triple Stitch logo. 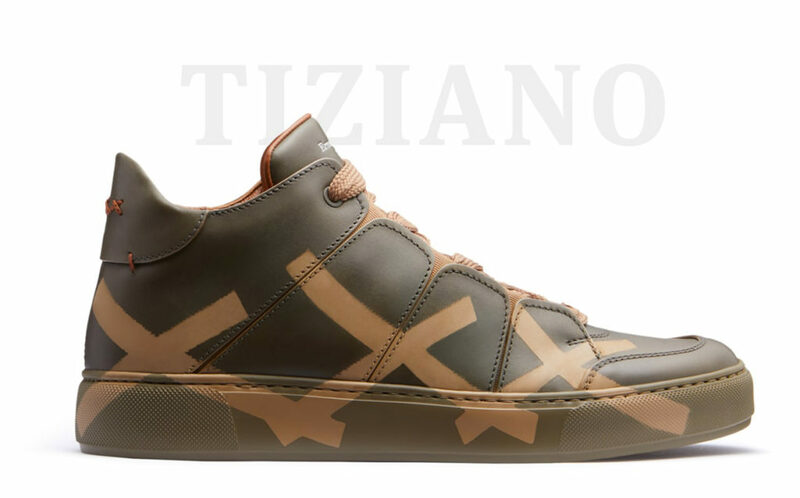 In addition, Zegna’s Tiziano Sneakers made an entrance! These are based on the simple silhouette of men’s ankle boots, but feature contemporary prints and materials. It seems as though Italian fashion leads by example once again when it comes to bold cuts and trend setting. 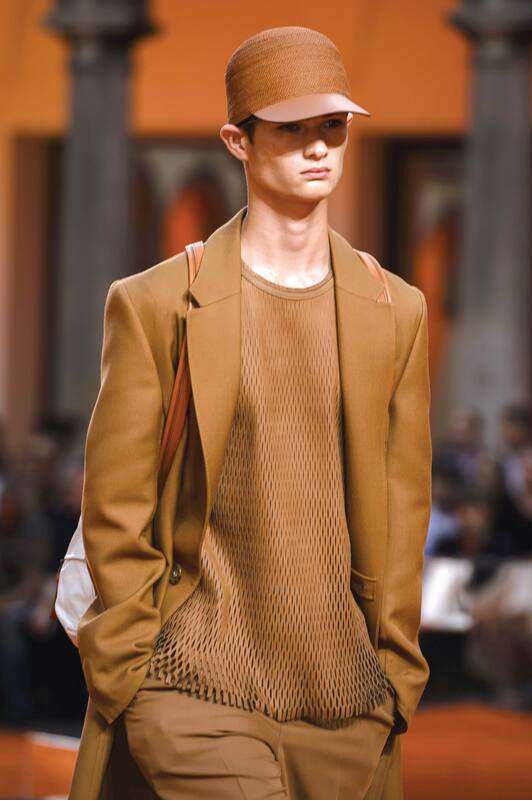 The spring/summer 2018 Ermenegildo Zegna collection explores the marriage between worldly and unworldly fantasies. The runway setting itself beautifully and convincingly symbolised this concept. A dream-state landscape of dusty tangerine desert and terra cotta trees gave the impression of open-air fantasy. Shiny miniature staircases made of glass created optical illusions. Consequently, models seemed to be standing mid-air! 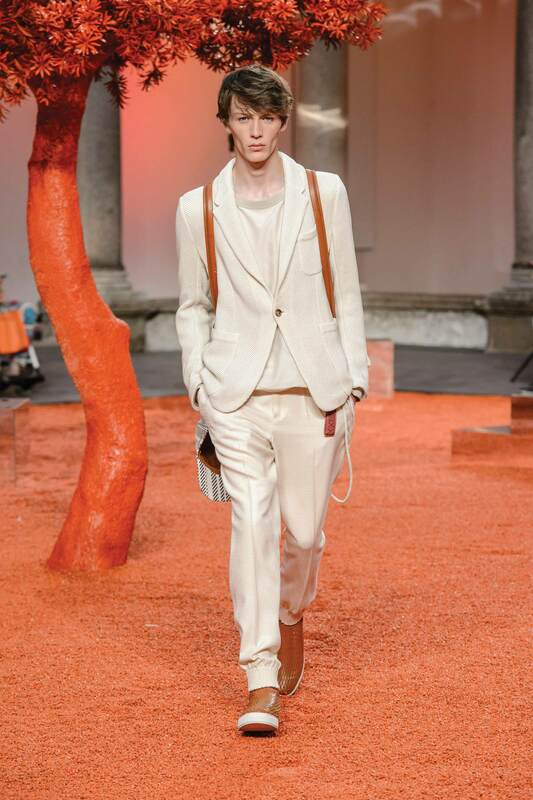 Zegna’s otherworldly models in a tangerine dreamscape at the Università Statale, Milan. The combination of the ethereal collection with this magical setting made Zegna’s models appear as new-age couture wanderers in an alien yet familiar dreamscape. This is in stark contrast to the real-world celebrities who were present at the show! Jamie Campbell Bower, the British actor and model known for his role as Caius in the Twilight Saga was spotted, as well as Chinese actors Wu Xiubo and Qu Chuxiao, and the German model and entrepreneur Johannes Huebl! There’s no doubt that the Ermenegildo Zegna summer 2018 collection is in keeping with the season. It’s enticingly laid back and practical. Because of this, the collection remains rather accessible to the average Joe. It’s easy to imagine oneself (or the man in your life) roaming the streets in one of these edgy, fashion fantasy pieces. As much as ever, the brand remains committed to Bespoke. Ensembles are customisable and interchangeable. What’s more, twelve ‘best looks’ from the collection are up for immediate sale! You can order these in selected boutiques worldwide. Especially exciting is the fact that each look can be altered to include bespoke details and personalised combinations. All you trendy men out there can indulge in Italian couture this season, thanks to such accessibility and attention to detail. The Fashionalble Lamppon: meeting with Carlo Mazzoni.